Data are intuitively entered in the program - the system geometry can be defined using only a mouse. 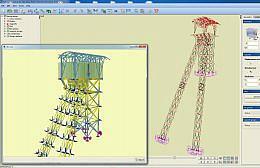 The program works with CAD-type applications and the ArCADia-ARCHITECTURE system. Basic function generators are available. The program contains a library of rolled and cold-formed profiles, reinforced concrete and timber elements. 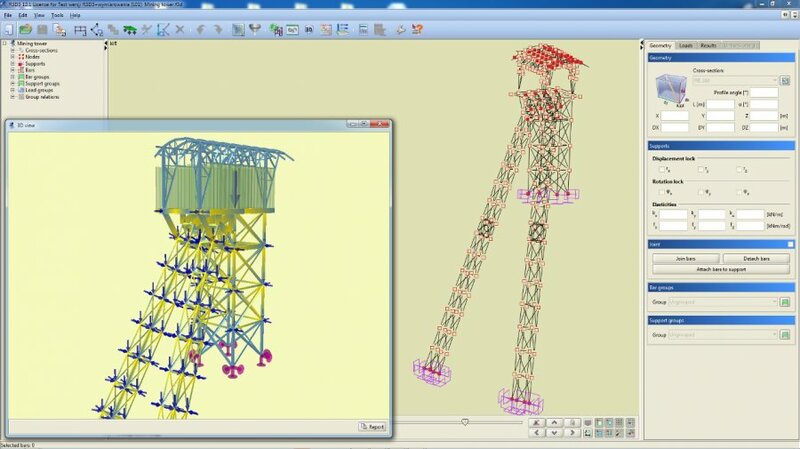 The program can be used for easy insertion of planar and spatial bar systems, both small systems comprising a number of bars, and large 3D structures containing hundreds of bars and nodes. Therefore, it is possible to count such construction systems as: multi-level and multi-bay frames, planar and spatial trusses, lattice towers, surface bar structures, bar grates, etc. The program makes it possible to work with dimensioning modules according to Eurocodes: EuroStal, EuroZelbet and EuroStopa. * R3D3-RAMA download link provides demo version of the software. SVHEAVE is a modeling tool that simplifies the calculation of soil heave for swelling clays. R3D3-RAMA has been rated 4.0 out of 5 points. A total of 1 votes cast and 0 users reviewed the software.